Upstate University Hospital's recently expanded pediatric emergency department features 18 private exam rooms with a capacity to serve 24 patients. 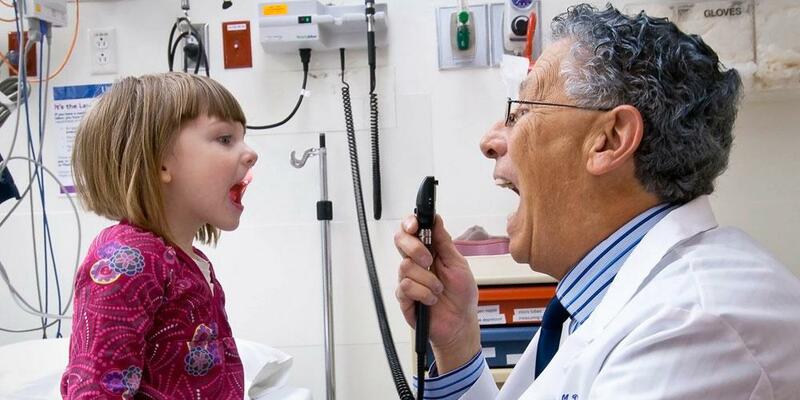 The pediatric emergency department sees about 27,000 visits annually. The space also has its own pediatric-friendly diagnostic radiology unit, meaning children do not have to leave the unit for some diagnostic tests. The space has been designed and furnished with kids in mind, with plenty of gaming systems for all ages. Courteous, competent, and compassionate care to any ill or injured child. A caring, comfortable, and as painless an emergency department experience as possible. Education so that parents/guardians have an understanding of their child's illness or injury and an understanding of ways to prevent further illnesses or injuries in the future. We speak a child's language yet relate to adults for assessment, teaching, and referrals. We provide the necessary knowledge to allow parents/caretakers to successfully impact their children's health outcomes. We ensure comfort, pain relief, and empathy for our children and families. Finally, we spend time ensuring that parents/caretakers understand exactly what is wrong with their child and what they must do to facilitate optimal outcomes. Last Modified: April 06, 2018. Contact David Rothman with questions about the content of this page.